Dillard’s gift cards are available at Dillard’s stores and online at Dillards.com. Both physical and electronic gift cards are available, and Dillard’s doesn’t charge any additional fees or shipping charges for gift card orders placed online. In addition to Dillard’s website and stores, you may be able to purchase Dillard’s gift cards at a number of third-party online sellers. Everything you need to know about where to purchase Dillard’s gift cards is below. Dillard’s, one of the nation’s largest fashion retailers, sells both physical Dillard’s gift cards and e-gift cards. Physical Dillard’s gift cards are available in amounts between $10 and $1,000, and e-gift cards are available in amounts between $10 and $250. If you order a physical gift card online, Dillard’s waives its standard $9.95 shipping fee, and the card should ship within 24-48 hours. Dillard’s isn’t the only place where you can purchase a Dillard’s gift card. However, when we contacted a variety of stores, we found that Dillard’s gift cards aren’t as widely available as you might think. In fact, most places don’t sell Dillard’s gift cards. Still, we discovered three online stores that do. Gift Card Granny allows “trusted secondary market partners” to sell discount gift cards through its website or app. As such, the amount and type of gift cards available depends on the seller. If no one is selling Dillard’s gift cards currently, you’ll have to look elsewhere or check back at a later time. Raise allows verified users to sell their unwanted physical and e-gift cards for cash. Like Gift Card Granny, availability will depend on what sellers have at any given time. If you’re looking to purchase a Dillard’s gift card, your best option is to either purchase it online or find a local Dillard’s store. 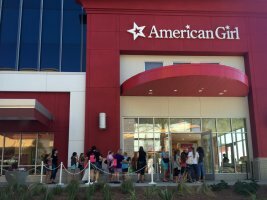 Every brick-and-mortar store we contacted, besides Dillard’s itself, said that it did not have Dillard’s gift cards available. 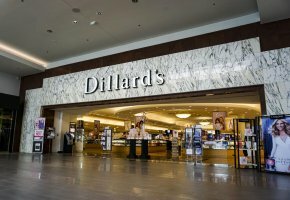 If you frequently shop at Dillard’s, our article has the details on when Dillard’s has sales. We also have information on where to buy Nordstrom gift cards.